Kevin joined PATTERSON HAWTHORN in 2000 as a Trainee Negotiator and undertook his sales training in the Hornchurch office. Within six months he was promoted to Sales Negotiator, and as the top performing Sales Negotiator with unmatched sales success at this branch he soon achieved a promotion to Senior Negotiator. Kevin’s impressive sales ability soon lead him to be awarded with the promotion to Sales Manager of the South Ockendon Branch in 2004. He soon set to work his magic there. This promotion was the making of Kevin and he has excelled in his role as Sales Manager, leading a highly successful sales office whilst still selling properties himself at an impressive rate; he is a manager that truly leads from the front, regularly being the top sales person in the company. Nearly two decades with PATTERSON HAWTHORN have given Kevin unrivalled experience and knowledge of the property industry, and he is a firm believer that achieving the best price for our properties and giving good customer service to his clients is the way to win repeat business. Kevin is a family man so spends most of his spare time with his wife and two sons, and keeping fit by running. 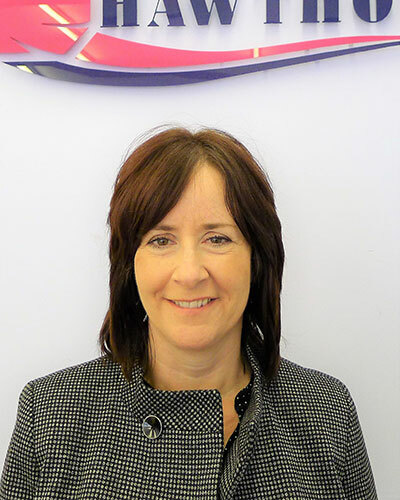 Vicky has now been with PATTERSON HAWTHORN since 2006 (a decade of experience! ), she started off in the lettings side of the business and came over to strengthen the Ockendon office sales team in 2007. Vicky has lived and breathed Thurrock air all her life and she brings with her a wealth of local area knowledge which is vital to the balance of the Ockendon sales office. Her ‘never say die’ attitude to put a sale together or to save a sale has helped the company on many occasions throughout the years. Her proactive and positive approach makes her a firm favourite with buyers and sellers. Zoe joined the Ockendon office in 2012 and has gone from strength to strength, she is now one of the leading sellers for the company. Zoe has the gift getting along with everyone. Her excellent attitude in the office and professional positive approach have been some of her greatest strengths. She will go the extra mile for all her clients to achieve the best price for her vendors. A real asset for the company.